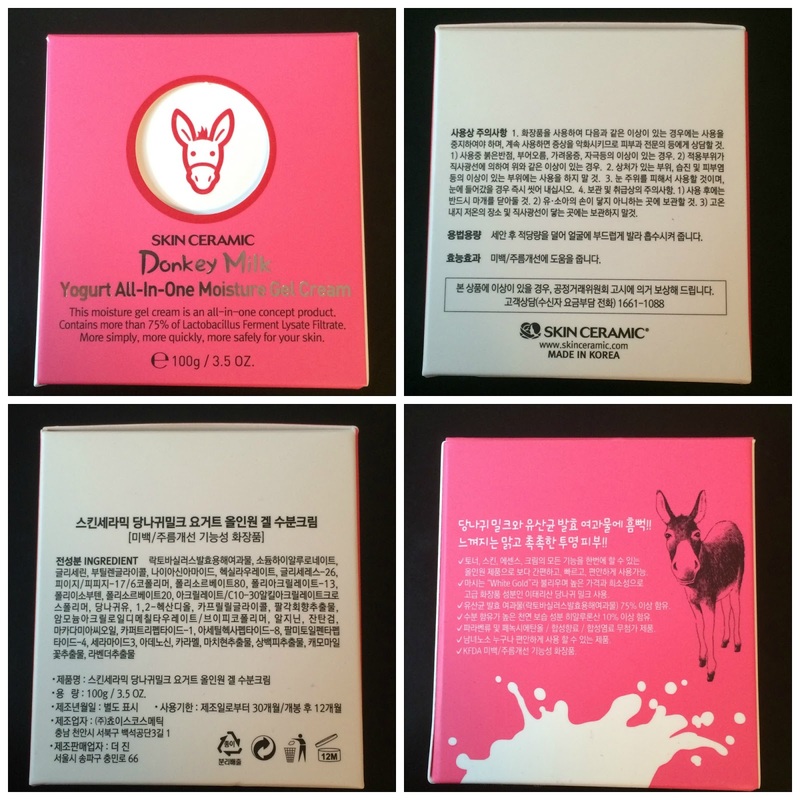 Performance: The Skin Ceramic Donkey Milk Cream has a thicker gel-type consistency that is slightly opaque. It has a light fresh scent that disappears after application. Even though this is a creamier gel, it is still lightweight and spreads easily onto the skin. 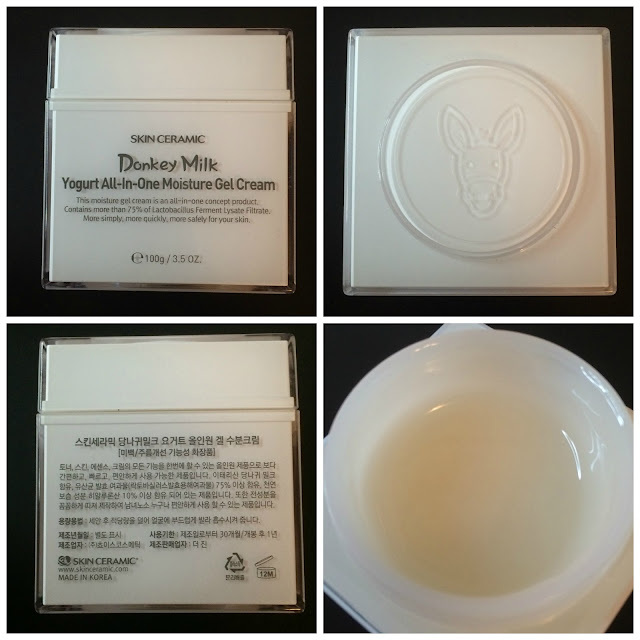 This cream is light enough for me to use day or night - a thin layer is nice and hydrating during the day, and a thicker layer at night acts as a hydrating and healing sleeping pack. Unfortunately the issue I have with this, as opposed to the Freeset Donkey Milk Cream, is that it leaves a sticky film on my skin. My neck does not absorb this cream at all and it just pills up if I apply it there - but even a thin layer on my face tends to leave it feeling sticky and doesn't help moderate oil production like the Freeset does. When I use a thick layer as a sleeping pack it leaves a pilly film on my face and it feels tacky, but it also makes my skin look bright and glowy in the morning so I just dealt with it. I can see this being annoying for others though. This isn't a bad cream, but I don't think it's one I would repurchase. 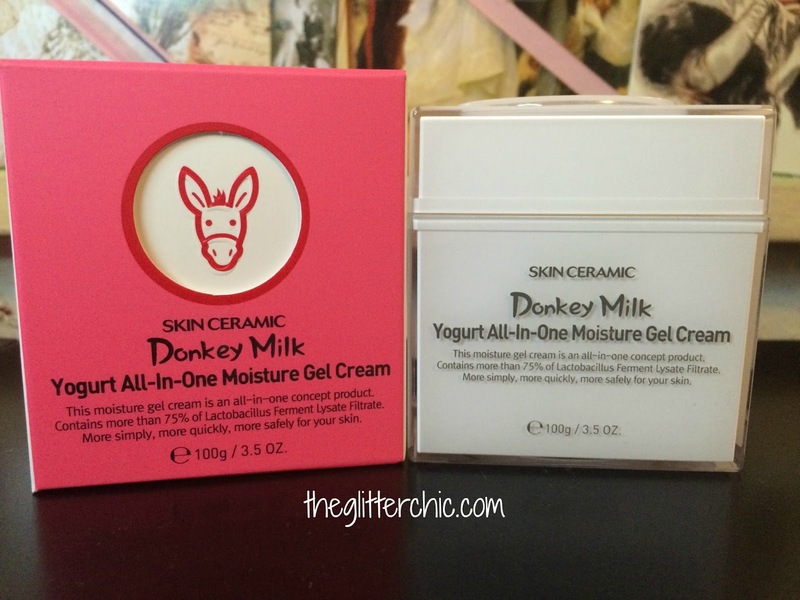 Though the Skin Ceramic is nearly half the price, I prefer the Freeset Donkey Milk Cream to this one. I purchased this product from Memebox USA (affiliate). 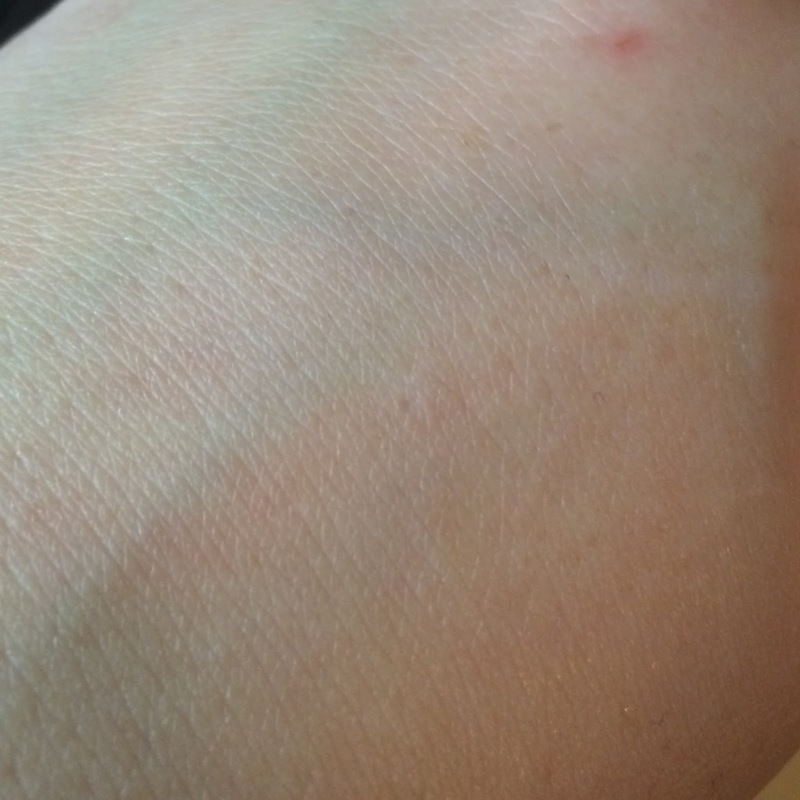 Hello, my name is Amber Morris, a fellow beauty blogger like your wonderful self. I'm very happy to have found your blog, p.s. Thank you for having a wonderful giveaway I've never been more excited for a giveaway!.